We are so excited to announce our 2015 March for Babies Team fundraiser for Matthew's Team! 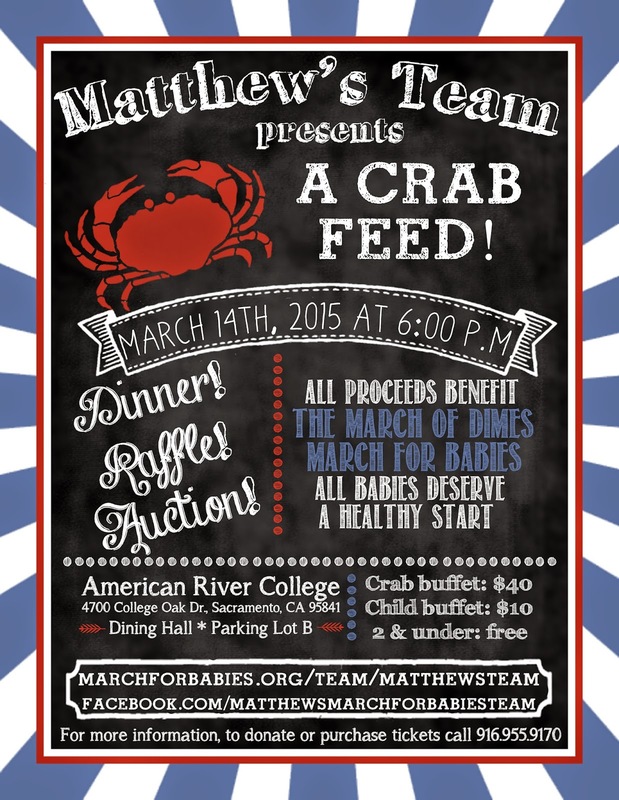 Our crab feed will be held on Saturday, March 14th, 2015 at American River College! tickets and featured listing on program of events. * Sponsor will be displayed at crab station, on all crab buckets, on all tables as well as at entry way. Includes 4 adult crab feed & 2 child buffet tickets and featured listing on program of events. featured listing on program of events. & 6 child buffet tickets and featured listing on program of events. Together, we walk for healthier, stronger babies, one step at a time. Recently, I've been asked rather frequently by well-meaning (I hope) people why we participate in March for Babies. Considering that we did not have a "happily ever after" story to share, some feel that it's weird, or that we should focus our efforts more on organizations centered around SIDS. March of Dimes is a cause that I am passionate about. For two very simple reasons, gratitude and hope, we walk with March for Babies. March for Babies is the only walk that remembers, honors and celebrates babies. Being born premature greatly increases a baby's risk of SIDS. By reducing the rates of prematurity, we can reduce the risk of SIDS. Not only does March of Dimes fund research in premature labors, births and babies, but, they also fund research in newborn and infant health. This includes SIDS. Research done by March of Dimes has resulted in medical advances that gives even the littlest and sickest babies hope. Matthew benefited from two medications developed as a result from that medication. One, helped his lungs continue to develop outside of the womb. It allowed him to have the ventilator removed, it allowed him to come home without oxygen. It allowed him to breath on his own. The other medication he received closed "holes" in his heart. It allowed his heart to work as it was supposed to and properly pass blood through his body. This research gave us 70 days with him. 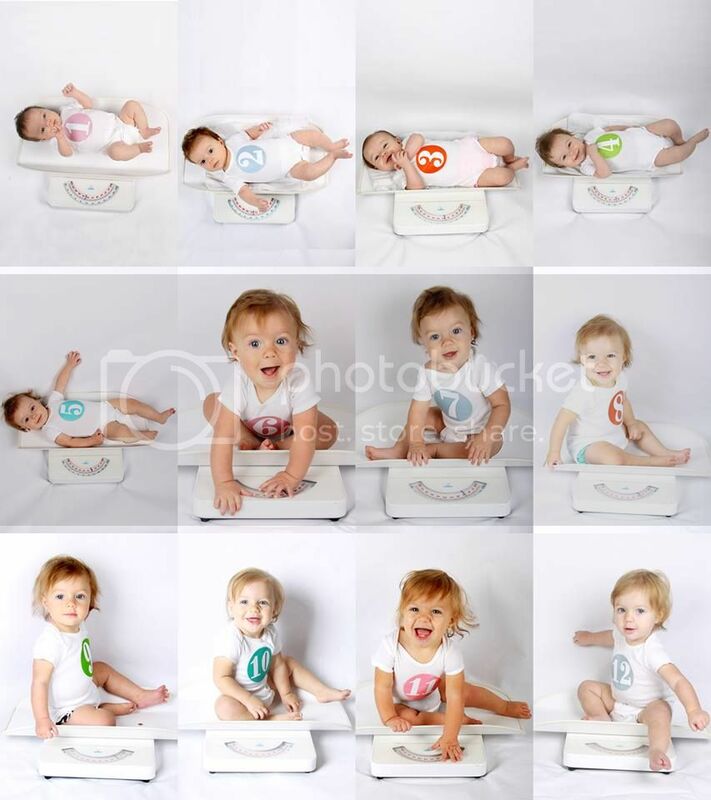 70 days of hugs, kisses, diaper changes, cuddles, naps, adventures and memories. All things we may not of had if he had been born 20 years ago. 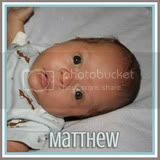 I have nothing but gratitude for the amazing doctors, nurses and March of Dimes for the time, pictures and memories we have of Matthew. After Matthew, we had three consecutive miscarriages. The outlook for having more children was not bright. We had no desire for Kaitlyn to grow up as the only living child in the house and this was heartbreaking. How do you have one healthy, normal pregnancy followed by a premature birth and then three miscarriages? It didn't make sense. There were not any answers, just despair. 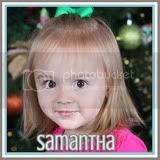 But, more research, more studies, more findings came to light and with the addition of a very simple medication daily and a less simple medication (that we had to fight for) weekly, we had Samantha. Full term. Healthy. She brought so much happiness and joy with her. 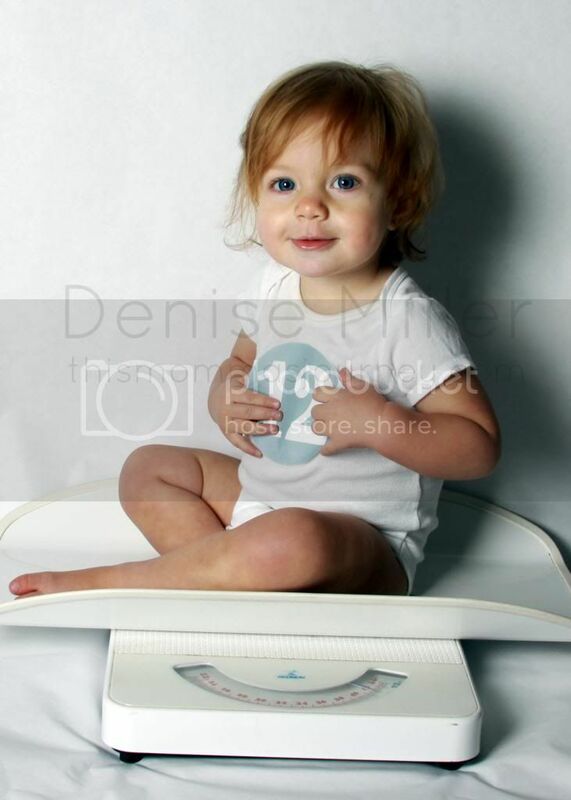 Just over two years later, her baby sister was born, ginormous. Also, full term, healthy and with a head full of hair. The medication we had to fight for with Samantha was almost standard procedure in mother's who have had a premature birth. We didn't have to fight, it was easier to get and ready to go when we hit 16 weeks. This is because of pregnancy research. I am incredibly grateful not only for the time we had with Matthew, but for the two little girls that we had after. For the healthy little girl that came before them all. For the memories, the laughter, the priceless photos and family hugs. We have three daughters. One day, they may decide to get married and have babies of their own. I want to be sure they have that choice, that option. I would never want to watch them suffer through miscarriage, prematurity or infant loss. The progress made in the last 10 years is astonishing. Premature rates are decreasing all over the nation and that is amazing. The advances in care for premature babies is also improving as astonishing rates. Not only are babies surviving today that may not have 20 years ago, but they are thriving. In 23 days, we will be a part of the Greater Capital Division March for Babies in Sacramento. We will proudly walk with our amazing team, decked out in our matching team shirts and sparkly team bows and we will know that we are making a difference. #whyiwalk : I walk out of gratitude for all that research funded by March of Dimes has given our family, but also out of hope that we continue to reduce prematurity and increase how many babies are born both healthy and full term for future generations. 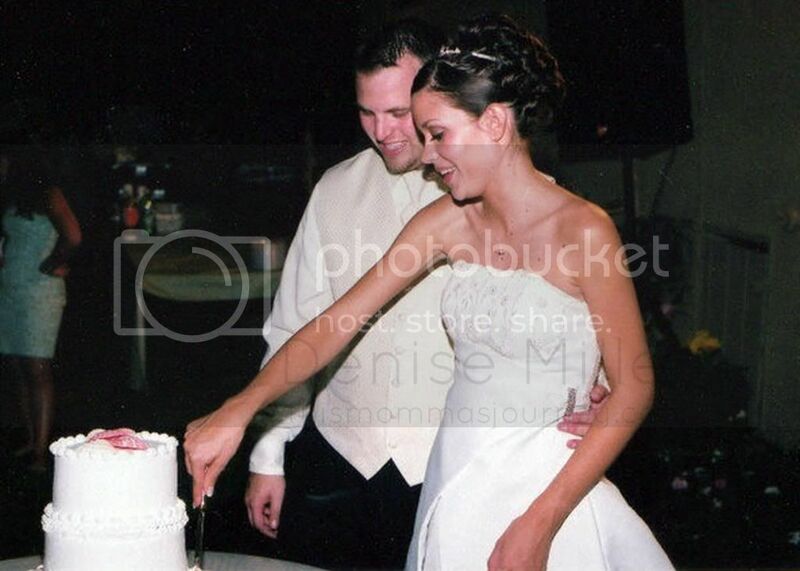 One of the greatest parts about marrying your best friend is being able to celebrate 10 years of marriage!! I know 10 years isn't really that big of a deal in the grand scheme of things. However, we've been through a lot in just 10 years. 7 pregnancies, 4 live births, 3 gorgeous rambunctious little girls and 1 incredibly missed little boy. Through it all we grew together, stronger and closer. When we got married, we rushed it. As in, we had already been in a serious relationship for 5 years, living together for 3 of them and planning on getting married a year or two down the road. Then, surprise, I was pregnant. It was an incredibly exciting and happy surprise. And we both wanted to be an official family before our little one was born. So, we planned our wedding in just a couple months with our wonderful families. The beach wedding we both wanted simply wouldn't work. There wasn't enough realistic time for a destination wedding and the beaches nearest us wouldn't work with the sizes of our family or the ones that couldn't walk down steep hills. So, we did the next best thing, a beach themed wedding in my soon-to-be sister-in-law's backyard. It was perfect. A few months later, Kaitlyn was here! 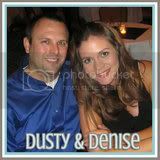 This August we will celebrate our 10 year anniversary with a beach side vow renewal with our family and close friends. Our bonfire after is all planned out and Matthew's birthday will be included with an eco-friendly balloon release. Thanks to pinterest, I have a gazillion ideas and am super excited. 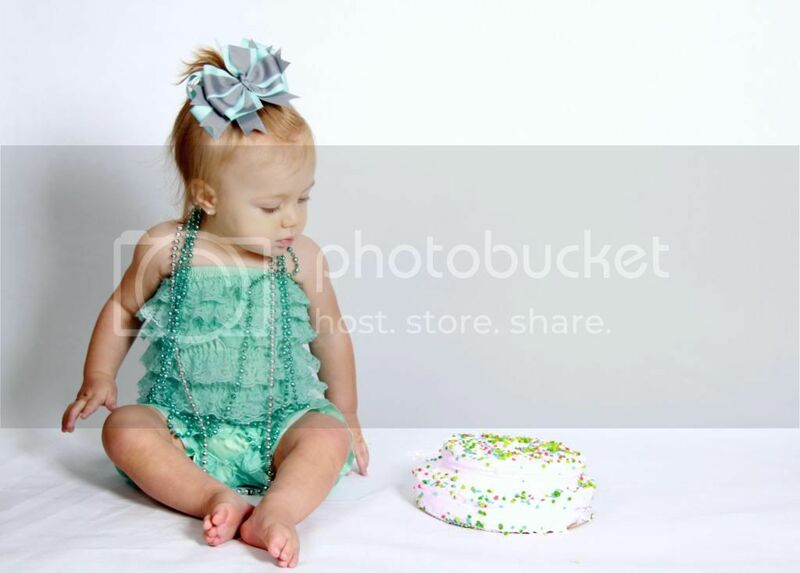 You know, I thought I understood what it was like to have a kid with a "holiday" birthday. I mean, Kaitlyn's birthday is 10 days before Dusty's and my dad's. And Samantha's birthday is 8 days before that. Dusty's birthday falls on Thanksgiving regularly and Kaitlyn's birthday has almost always fallen during Thanksgiving break. I truly thought I understood the stress of planning a party around the holidays, figuring out two awesome gifts so close together and all that jazz. Then, Charlotte came along. Having a birthday 6 days before Christmas is a lot of work! I do not think I truly realized what that meant. It's the week before Christmas, so you're already trying to cram in all the holiday fun, adding a birthday is just exhausting. I took a whopping like 15 pictures. I know. Total crap! But, it was a super perfect party. 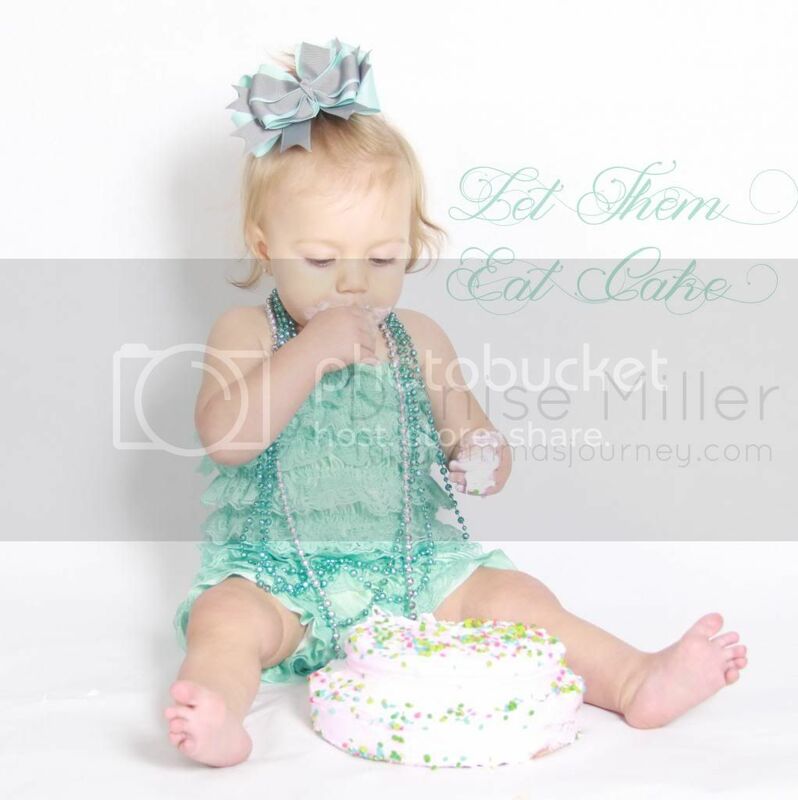 It was simple, sparkly, low-key, filled with yummy food and a happy little girl who toddled from one room to another. 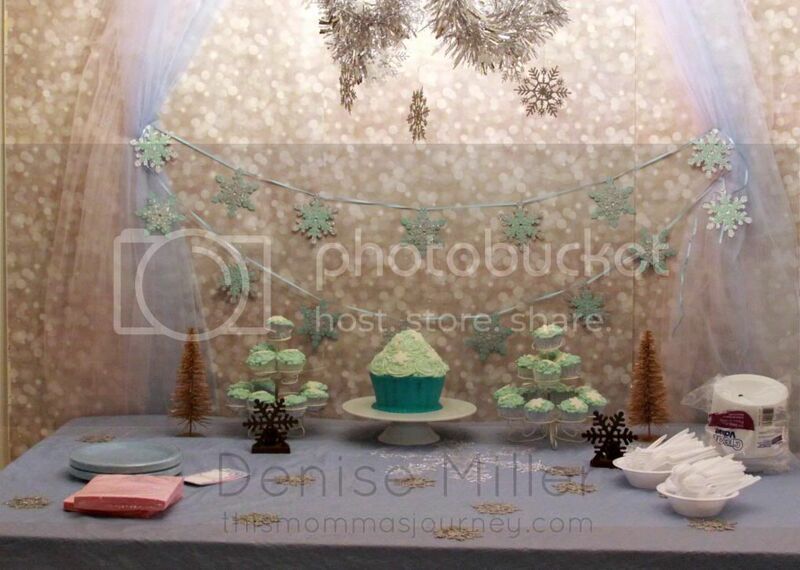 I loved the decor so much, I kept all 200+ snowflakes up until after the New Year! 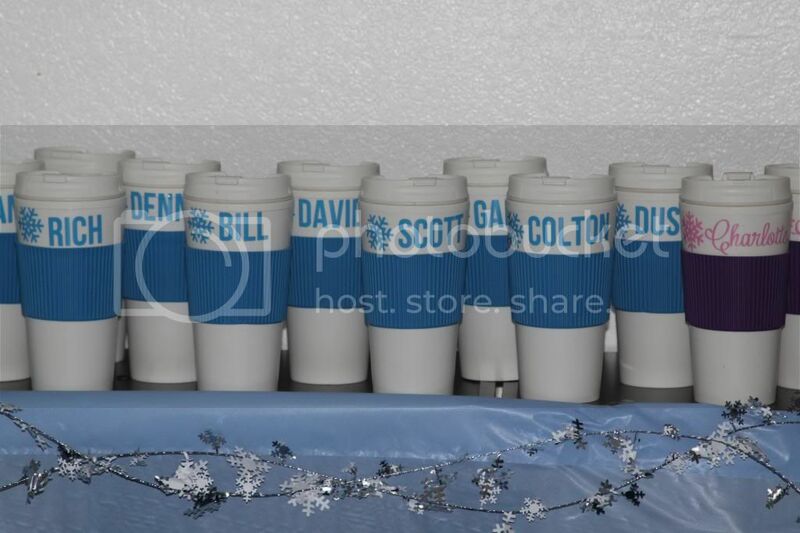 For favors, I made everyone a personalized coffee travel mugs. I just love my silhouette machine even more since discovering vinyl. She's pretty petite. 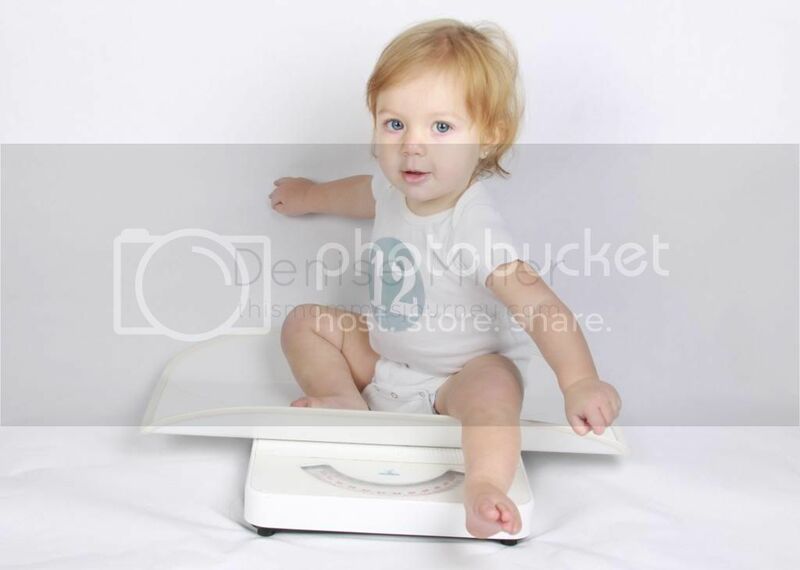 She's at 20 lbs still, but nearly 33 inches tall! She's wearing 12 months and starting to outgrow her tops a little. Between Samantha's and Kaitlyn's clothes, she is set for the next several years regardless of what size she wears... Her and Samantha nearly have the same size foot. Well, that might be an exaggeration, but Samantha is finally almost into a 9 and Charlotte is cruising into a 5... So, it's not too far off. Charlotte wants to do everything the big girls do. She plays hide and seek, tag and runs after them everywhere they go. I love it. She's just a joy. A miraculous little joy. Those who know me or have seen me at all since the end of October, 2007, know that I have a soft spot for memorial jewelry. The first piece of memorial jewelry I ever bought was a week or two after Matthew died. I bought this little number a white gold and diamond necklace from Pictures On Gold that had one of Matthew's photos engraved into the gold. I wanted some way to have him near him, with me, visible to the world as still existing. I wear it nearly every single day. It has it's pros and it's cons. The pros are that it's gorgeous, it sparkles and it shines. The cons are, it has already had the photo replaced. It just doesn't look good after a couple of days. The way the design is, the plate sits inside of a disk that is set in the middle of the diamond heart. It isn't completely flush, so it fills with gunk. The photo discolors so quickly and I hate having it gone for a couple weeks when they replace the photo. It's even more frustrating given that it is ridiculously expensive. About 2 years ago, I got a tattoo. I had been planning it for years, but just needed the design, timing and planning to all come together. I love it. But, again, it doesn't replace the need I have for memorial jewelry. About 6 months ago, I bought an origami owl locket. Again, I love it. But, while I adore that it incorporates the entire family, all the babies I've birthed and my amazing hubby, it doesn't feature just him. It doesn't have his picture, his big brown eyes, his beautiful skin. 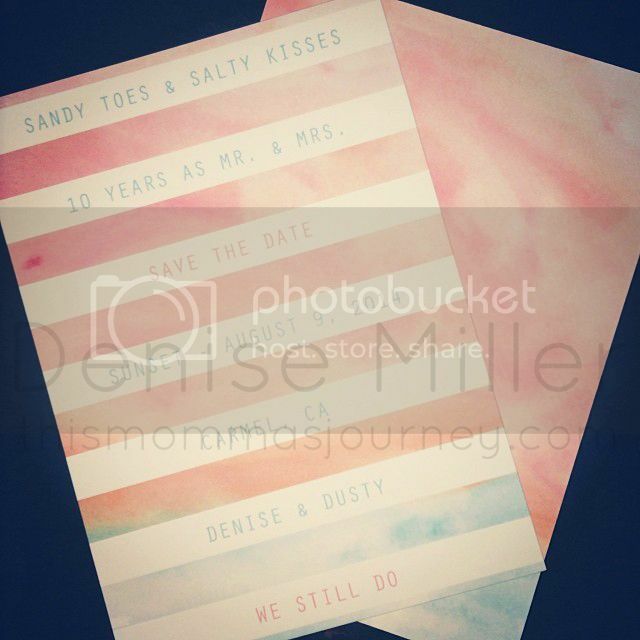 Last week, I was contacted by Hallie of Jewelry Keepsakes. She asked if I would be interested in reviewing a piece of their Memorial jewelry and I had no choice but to say yes. 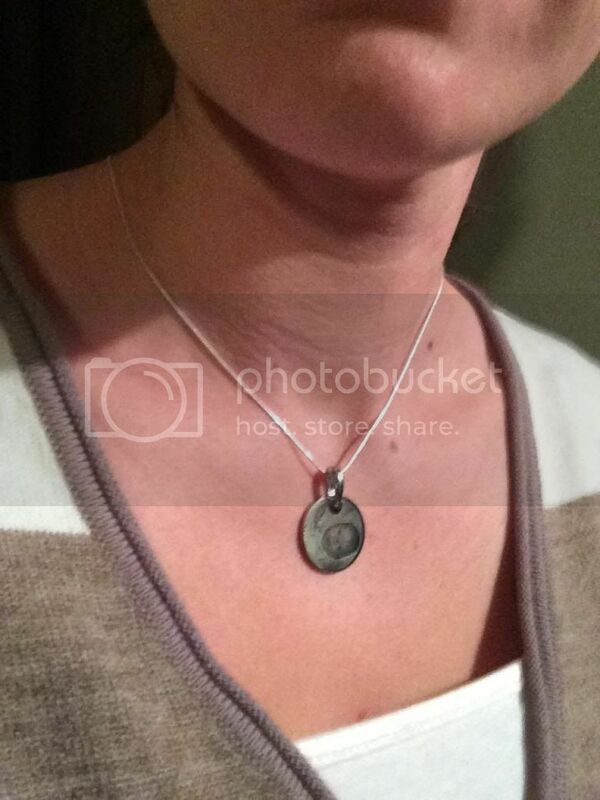 I selected the Silver Round locket with the 18" silver chain. It was incredibly easy to order and because of how busy last week was (having 4 kids 3 and under 2 days a week and the rest of the days with 3 kids 3 and under, and Kaitlyn, the crab feed, life... things have been crazy), I dropped the ball and didn't email over the picture I liked or engraving until Thursday afternoon. Even so, I was excited to open the mail box today and have an awesome surprise! It sparkles. It shines. It is smooth and the perfect weight. The photo turned out beautiful. 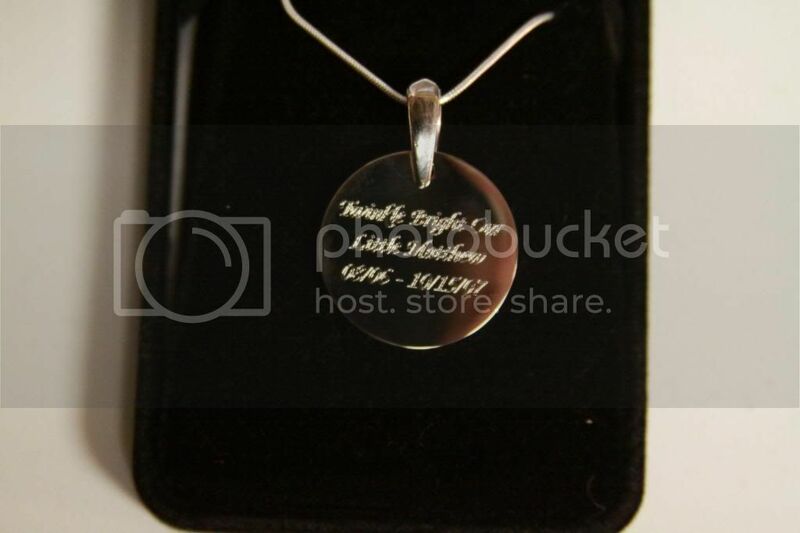 The back is engraved with "Twinkle bright our little Matthew 08/06 - 10/15/07" It is deeply engraved, making it hard to photograph. But, it does feel like it could be worn on a daily basis without "wearing down" the engraving. I love the way it looks, feels and carries. It is a longer chain than I normally wear, but comfortable. Charlotte likes to grab my necklace whenever I hold her and has caught her mouth and hangs on my diamonds. I've also snagged it on sweaters, my robe and things. This charm fits exactly in Charlotte's little hand. She can "hold" her big brother every time I hold her. This is the perfect every day necklace. With it, I can keep him close to my heart and share his beauty with the world. 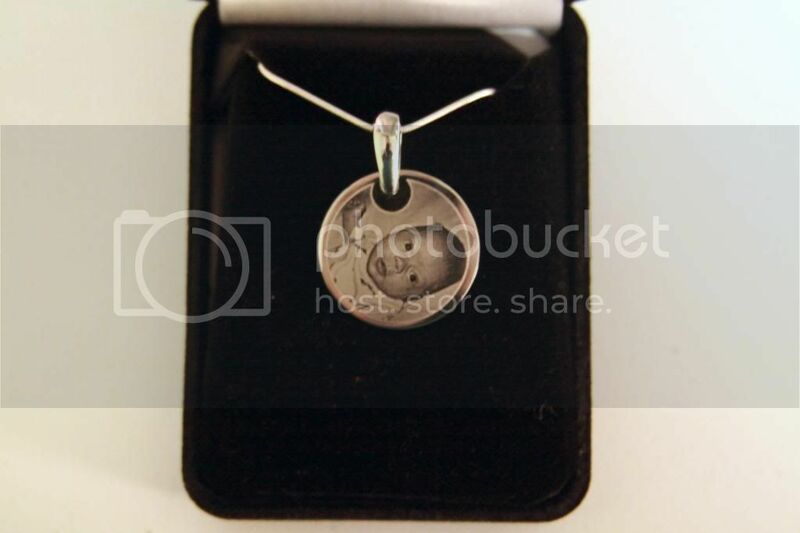 Thank you Jewelry Keepsakes your work is amazing, heart warming and a touching keepsake. 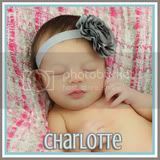 Charlotte's 13 1/2 months old and I haven't done a 12 month update, Christmas update or shared any of the good things going on in Matthew's honor. My goal this week is to get caught up! We are so excited to announce our 2014 March for Babies Team fundraiser for Matthew's Team! Our crab feed will be held on Saturday, March 15th at American River College! * Sponsor will be displayed on all tags accompanying souvenir glasses. * Sponsor will be displayed on all tags accompanying souvenir glasses. Includes 2 adult crab feed tickets and prominent listing on program of events. * Sponsor will be displayed on all signage at the buffet station. Sponsor will be recognized in child goody bags. Includes 2 adult crab feed, 2 child buffet tickets and prominent listing on program of events. * Sponsor will be displayed on all napkin/silverwear sets for all children buffet guests as well as signage at the buffet station. Sponsor will be recognized in child goody bags. Includes 2 adult crab feed, 4 child buffet tickets and prominent listing on program of events. 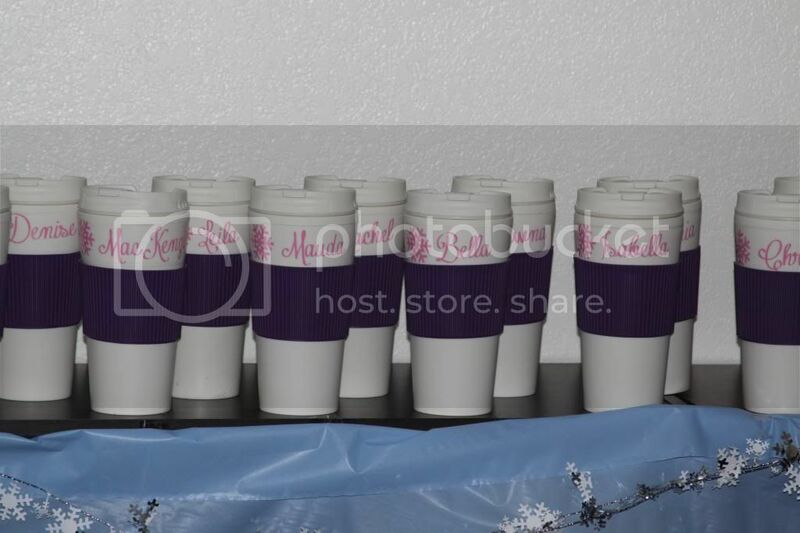 * Sponsor will be displayed on all napkin/silverwear sets for all adult buffet guests as well as signage at the buffet station. Sponsor will be recognized with signage at all tables. Includes 4 adult crab feed, 2 child buffet tickets and prominent listing on program of events. * Sponsor will be displayed at crab station, on all crab buckets, on all tables as well as at entry way. Includes 4 adult crab feed, 2 child buffet tickets and featured listing on program of events. All sponsors, including auction and raffle prize donors, will be recognized at the event in multiple locations and frequently through the presentations. Once upon a time a girl met a boy, fell in love and lived happily ever after. Unfortunately "happily ever after" isn't always as easy or as blissful as it sounds. I am a wife and mother. In 2004 we had a beautiful little girl, Kaitlyn, adventurous, funny and incredibly outgoing! She certainly keeps us busy! In 2007 our happily ever after continued with the birth of our son, Matthew, 7 weeks early after 10 weeks of hospital bed rest. 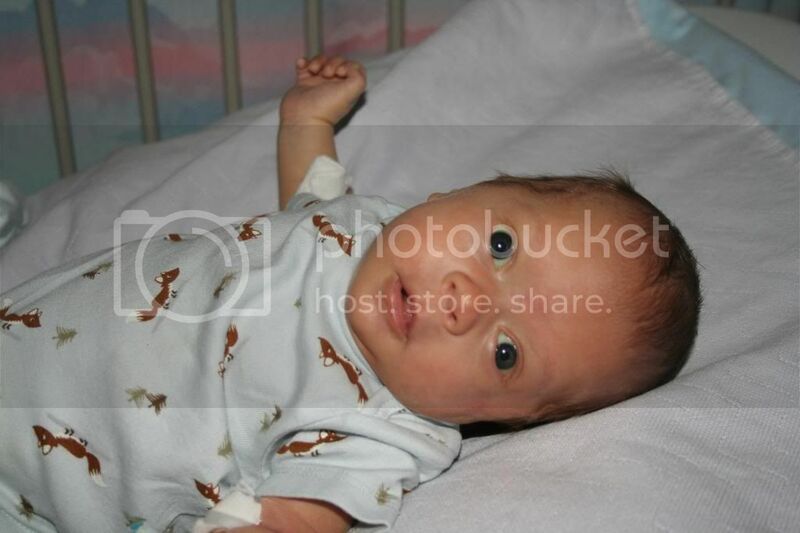 That happily ever after came crashing down when Matthew lost his life to SIDS and we said good-bye to our baby boy. Nothing can test your faith, your marriage or you family more than losing a child. 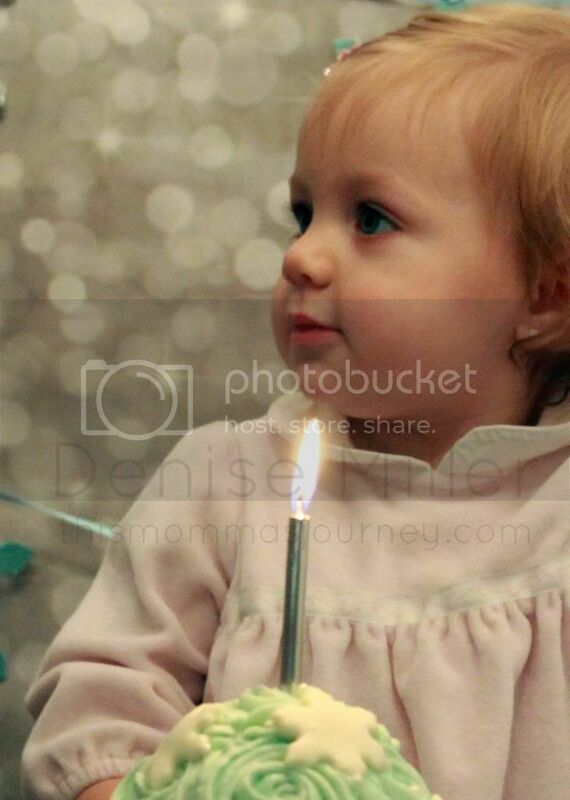 After 3 miscarriages in 2009, we proudly welcomed Samantha Anne into the world.